These 10 Creepy And Cool Halloween Jello Molds are the perfect addition to your fun dessert buffet at that party you are hosting this year. Jello has long been a favorite treat of kids and adults alike, and being able to serve it up in a fun mold is one of the best parts. From small molds that make individual portions easy to serve, to the large molds that are almost a centerpiece in themselves, these will bring out the creepy, spooky and fun treat you want this Halloween. This Small Bat Mold is perfect for those portion sized Jello treats. Use grape flavored Jello for a darker color that is more like a bat. 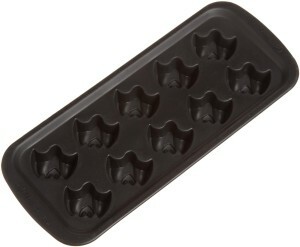 Since this is actually an ice cube mold, it will make the ideal sized bats for serving individually. For added effect, you can include candy eyes in the mold to give your Jello bats a real life look. This set includes a Pumpkin & Witch Hat Mold that are a little larger, but still perfect for individual serving sizes. Use multiple colors and layer to create a super fun look, or go with classic orange Jello and lime Jello to make a perfect fun Halloween Jello mold treat. 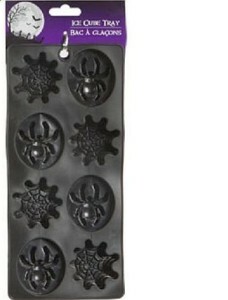 This Large Spider Mold is an excellent Jello centerpiece for your dessert or buffet table. 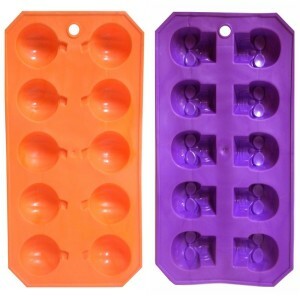 You can use multiple colors and flavors, or create one solid color with this great mold. 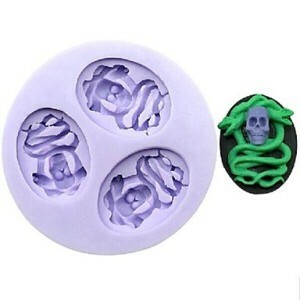 This is a unique Skull & Snake Mold that is fun to create with multiple colors of Jello. It is smaller, so makes a perfect portion controlled treat everyone will love eating. This Large Heart Mold is a great choice too, “get the blood pumping” at your party. It is creepy and fun, and of course a perfect choice in our list of Halloween Jello molds to give everyone a fun treat while being spooky in the process. 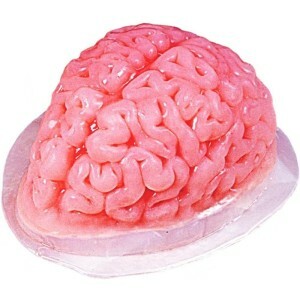 This Large Brain Mold will be the ultimate Jello centerpiece for your Halloween dessert buffet. 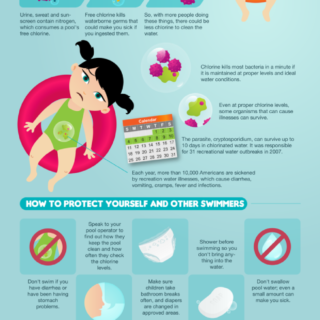 Strawberry Jello is perfect for this! Especially if you mix in a bit of whipped topping to make it a creamy pink color. 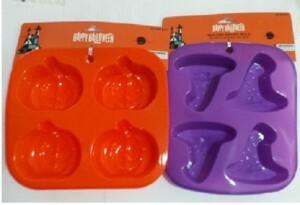 If you are looking for bite-sized treat molds, this Small Pumpkin & Skull Mold set is a perfect choice. 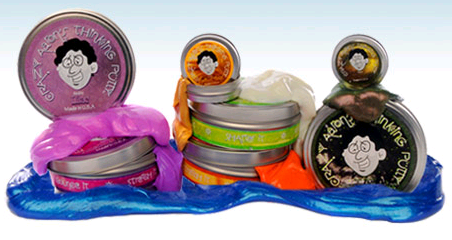 These molds are ideal for creating simple single serving Halloween Jello treats. 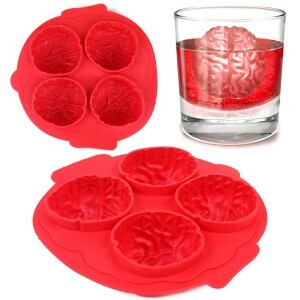 For a little larger portion, but still individual sized, this fun Small Brain Mold is a great choice. Kids will love acting like a zombie and taking a bite out of brains! 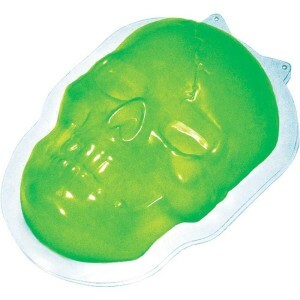 Create a great glowing centerpiece by making green Jello in this Large Skull Mold. Add a glow stick or light underneath a clear plate or platter to give this an otherworldly glow that everyone will love. 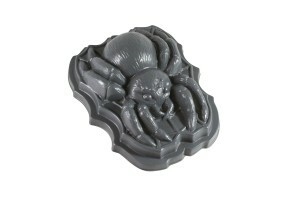 This Small Spider & Web Mold is a great one for adding to a platter of treats. Individual bite-sized servings are going to make it easy to serve, and super fun to create. Grab some or all of these cool and creepy Halloween Jello molds to create your own fun and fun to eat treats for your upcoming Halloween party! The brain is a lot of fun. But I don’t think my children would go anywhere near it. I love the snakes and skulls also. Such neat molds. Oh, these are all so cool! 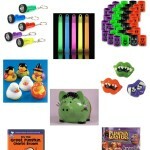 I love Halloween and I want all of these! 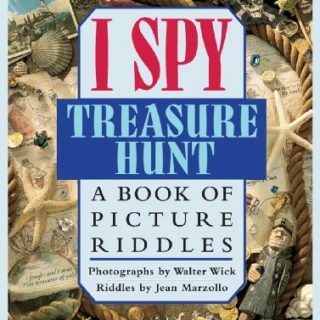 Especially the skull and snake one! That brain mold is so creepy! 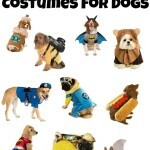 lol And, perfect for our upcoming Halloween party. I know there are a few kids coming that would LOVE to eat “brains”! Perfect for Halloween. I like them all but my favorite is the brains. So neat! I think the brain mold is the creepiest!! I don’t know if I could even eat it. More like its good to just have for a fun table decoration, but eating it would be way too weird! Eeeek that brains one gives me the shivers. Don’t think I’d be able to eat it. lol Very cool though! Those molds are crazy! Something about the brain one that just gets to me.. CREEPY! I like this molds. The molds can surely scare a lot of people especially during Halloween. Wow! 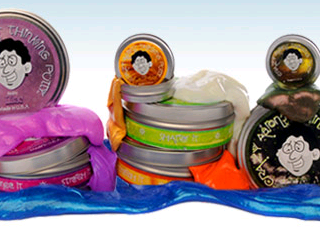 I want that heart mold or the brain mold. I just found the brain mold at a party store, and I wished I had bought one. They are so cool! I love these! They look like so much fun! 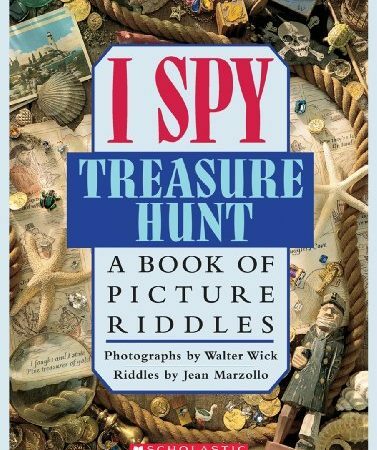 I had no clue there were such a thing! What a great idea, so festive! I love it! These look so fun! 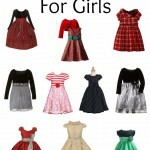 I would use them for party – planning! My kids would think they were great! 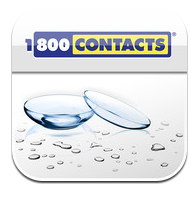 Those are so freaky and cool! 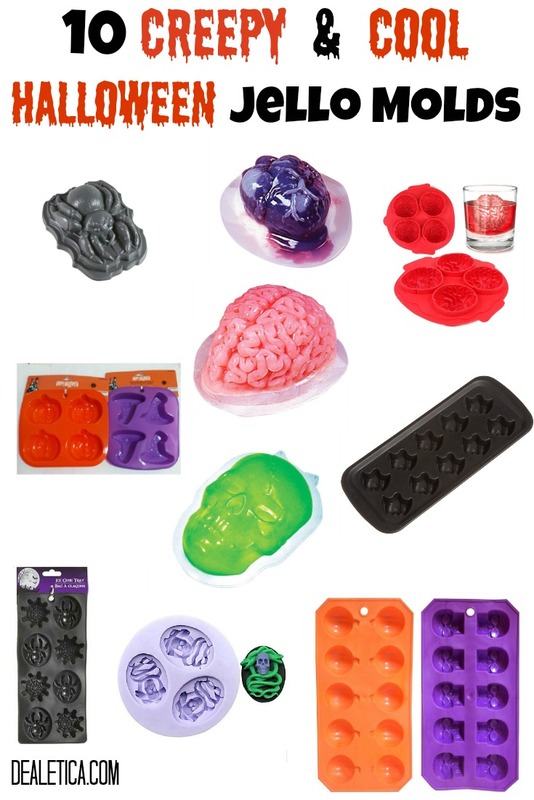 My kids would have a blast with these, especially the brain mold. The heart one was really spooky! It looks realistic!